Details: Style and comfort abound in this updated classic Ridgewood home showcasing a standout wrap around porch and many historical details. 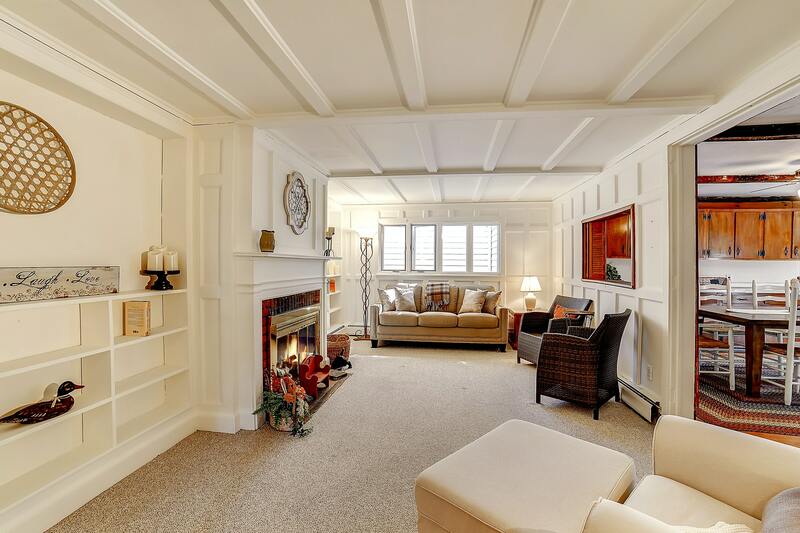 Modern amenities and updates mix seamlessly with the original Arts and Crafts features including 9ft ceilings, pocket doors, white moldings, built-in shelving, paneling and a gorgeous coffered dining room ceiling. 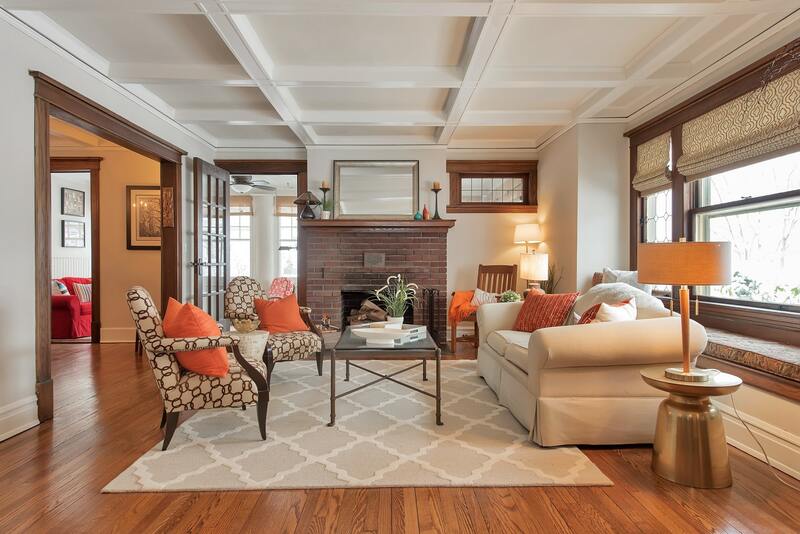 A handsome fieldstone fireplace anchors the sun-filled living room with gleaming hardwood throughout. Gorgeous white kitchen, butler’s pantry and family rm space all flow for easy living and entertaining. Enjoy the mudroom entrance off the backyard bluestone patio. Large master suite with impressive custom walk-in closet. Two second-floor bedrooms, new white hall bath, and two additional bedrooms on third-floor with full bath and storage. Finished basement with Ulrich built media room, laundry room, PR, built-in desk, bar area with refrigerator drawers, and sink. Gym room and storage. Professionally landscaped and private property. Close to town, schools, New York City trains and buses. A must-see! Details: Sometimes you really can have it all. 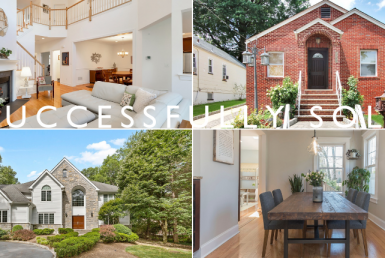 Be prepared to fall in love with and enjoy the many high-end upgrades and tasteful renovations that this gracious four-bedroom home and the oversized private property has to offer. Perfect for relaxing and entertaining, this tranquil riverfront home is situated on a quiet cul-de-sac on a unique and desirable park-like property complete with a babbling brook, extensive perennial gardens and stunning sunset views from many windows and from the 20×40 Bluestone/brick patio. Special features include a spacious open floor plan, gorgeous sunroom addition, expansive master bedroom ensuite with Juliet balcony, gas fireplace in family room, whole house generator and much more. Best of all, it can be yours! 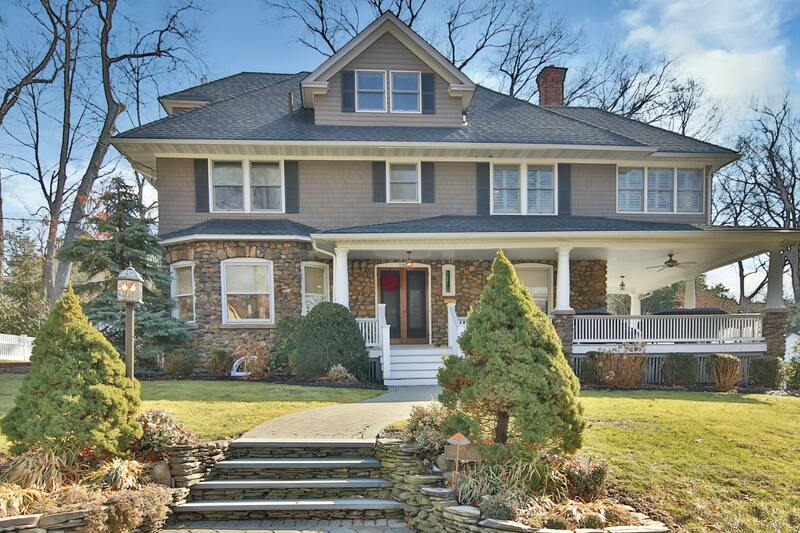 Details: Welcome to this gorgeous, architecturally designed arts and crafts Colonial located in the heart of the Watchung Plaza neighborhood with a direct New York City train and two bus options only .3 of a mile away. Enjoy Montclair’s trendiest coffee shops, an independent bookstore, restaurants, and nearby 120 acre Brookdale Park. This is a turn-key, 10-room home with potential for a 5th bedroom, a partially finished 3rd floor, and basement. Leaded glass windows/built-ins, newly restored wood flooring and a mudroom lead out to a meticulously maintained and bountiful garden round out this extraordinary property. Details: Location, location, location combined with exceptional space! This home is so much larger than it appears. Don’t miss this rare opportunity to reside in the heart of prestigious and desirable Ho-Ho-Kus; a perfect blend of small-town living mixed with a sophisticated and vibrant downtown area and superb school district. Close to shopping, Zagat rated restaurants and easy access to New York City via trains and buses. 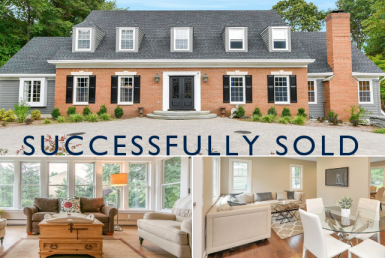 This center hall Colonial with traditional floor plan features a living room, dining room, a colossal-size country kitchen perfect for entertaining family and friends, den, and family room with a fireplace. The second level features four bedrooms, a large laundry room, and a newly tiled bath. Rough plumbing on the first level can accommodate a potential bathroom. An attached one car garage complete with a workshop and loft storage provides the perfect space for a variety of hobbies and interests. Very private rear patio and updated electricity are added bonuses. Information obtained from the New Jersey Multiple Listing Service. Data in whole or in part is supplied by the New Jersey MLS and is deemed reliable but is not guaranteed. Data provided may not reflect all the real estate in the market. Data taken 7/6/2018. Each Office Is Independently Owned and Operated.